These textures were made for Deathrun_MarioWorld And people have asked me to release them for use. Well, Here they are! These were made in about 15 hours in Adobe Photo Shop CS3. They are hi-Res Mario Textures all created with correct VMT options. They are not that big of a file size so go nutz! 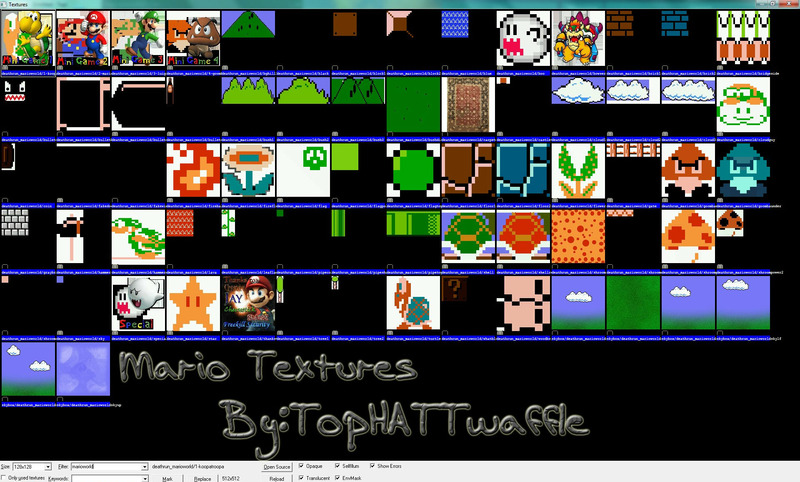 Remember these are the EXACT textures I used, they have everything from Deathrun_MarioWorld Even the minigame endings!